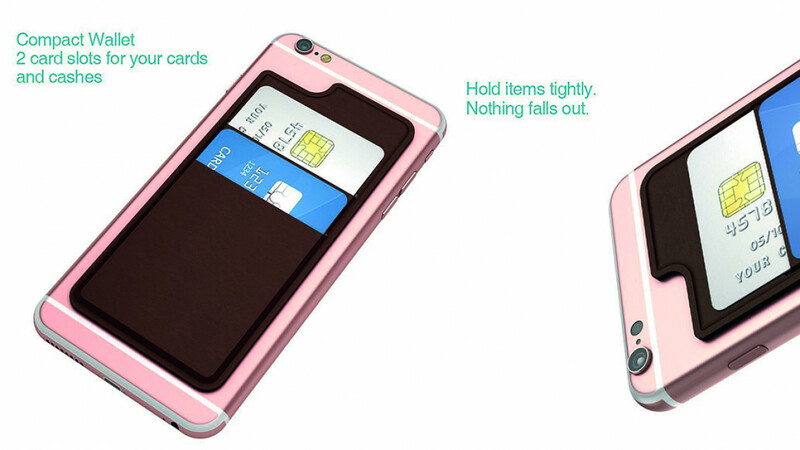 This stick on wallet turns your smartphone instantly into a wallet that can hold your cards or other small items. The pocket holds items safely so that they do not easily fall out. Your pockets can certainly get bulky when you need to carry your wallet and your smartphone, this will save you some space. It can hold cash as well as other items and it is reusable so you can remove it from your device and stick it somewhere else. Great for creating a secret pocket wherever you might need it such as in the glove box of your car or inside your luggage.